Executives to Entry Level, we get it done, and make sure its done for you well, the first time. CS Recruiting understands the Transportation, Logistics, & Supply Chain Industries like no other Recruiter in the business. In such a dynamic and ever changing business like Logistics, it is essential to be working with a team that fully understands the nature of the beast. We have the experience and the expertise that you are looking for, whether you are trying to acquire talent, or if you are a job seeker. 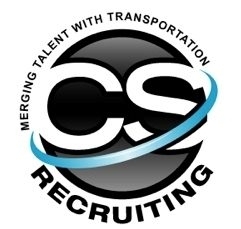 Let us prove to you why CS Recruiting is the premier Transportation Recruiting firm in the industry. While CS is headquartered in Chicago, we work on positions across the US and Canada. We are here to answer any questions you may have about our services. Contact us here and we'll respond as soon as we can.